Whilst the formal process for Britain leaving the European Union remains pending triggering of Article 50. However there was one significant immediate reaction to the Brexit vote which was sterling's sharp 20% drop and which currently stands about 18% below its pre-brexit trading level. 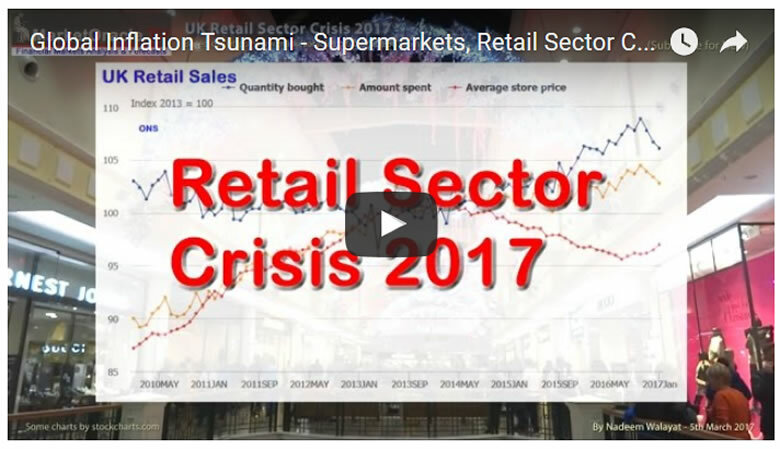 Ensure you are subscribed to my youtube channel for new videos in this retail sector series as I take a look at the stock price prospects for Britain's biggest retailers, including Tesco, Sainsbury, Morrisons and Marks and Spencers amongst others.